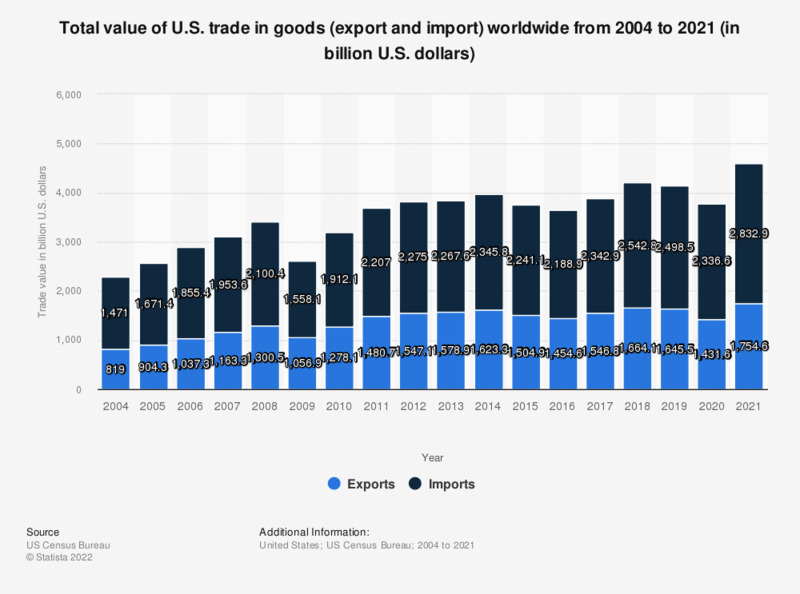 The timeline shows the total value of U.S. trade in goods (export and import) worldwide from 2004 to 2018. In 2018, the total value of U.S. trade goods amounted to 4.2 trillion U.S. dollars. In 2010, the total value of U.S. trade goods amounted to about 3.2 trillion U.S. dollars. Data on a Census Basis, unrevised. Everything On "Trade in the U.S." in One Document: Edited and Divided into Handy Chapters. Including Detailed References.